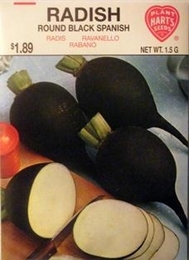 This unique, black-skinned radish produces globe shaped roots 3 .5 inches in diameter. Strong, short length tops make picking easy. Roots remain firm long after picking.